How often do we come out? Most customers prefer service once a week. Other service schedules are available. Please call. Do we work through the winter? Yes. 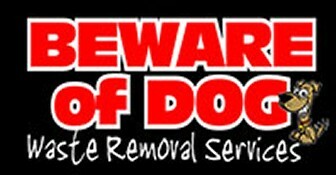 We do remove dog waste through the winter, weather permitting. As always, you will not be charged for week(s) skipped due to inclement weather. When a holiday falls on a regular service day, your yard may be cleaned before the holiday. We make every effort to clean all yards before each weekend. Please have your gate unlocked on your service day. Can we work with your dog in the yard? In most cases, yes. If you know your dog is not good with strangers, we ask that you restrain or confine your dog. We don't want to take any unnecessary risks with your dog or our employees. We will send you an invoice at the end of each month after the work is done. Payments can be mailed or left for us on your regularly scheduled day. If we stop your service for non-payment, you will be charged your weekly rate for each skipped week until service is resumed. No! We can start and stop your service over the phone. Is there an extra charge to start the service? With your approval, there will be an extra charge for first time service with accumulation. Is it possible to get a one-time-only service? Sure! One-time-only or short-term service may be easily arranged. We know our business depends on doing excellent work and it's the quality of our dog poop removal service on which we stake our success. If ever you are not completely satisfied, please let us know right away. You will not be charged if you call us in time to stop service that day.